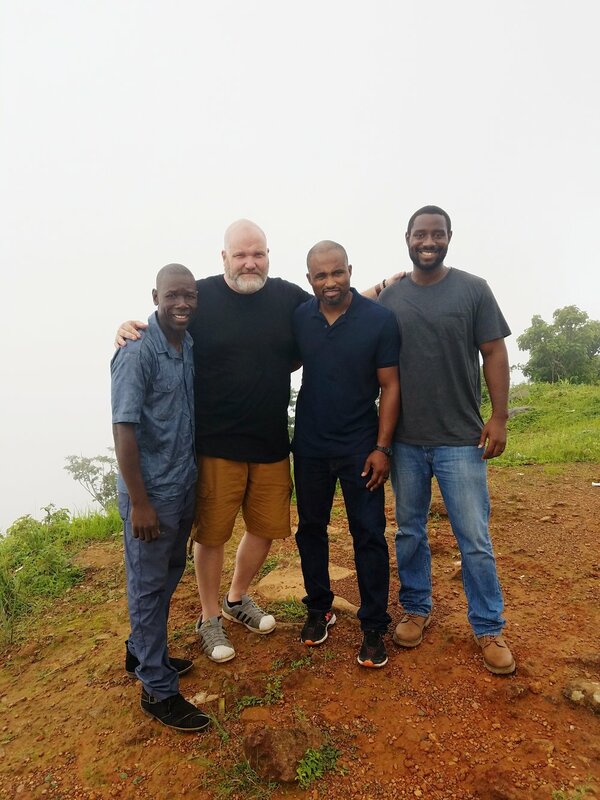 On July 14th a team of ten people from City Fellowship traveled to Sierra Leone to encourage our missionaries, Charles and Ally Currie, in their work at The Raining Season. 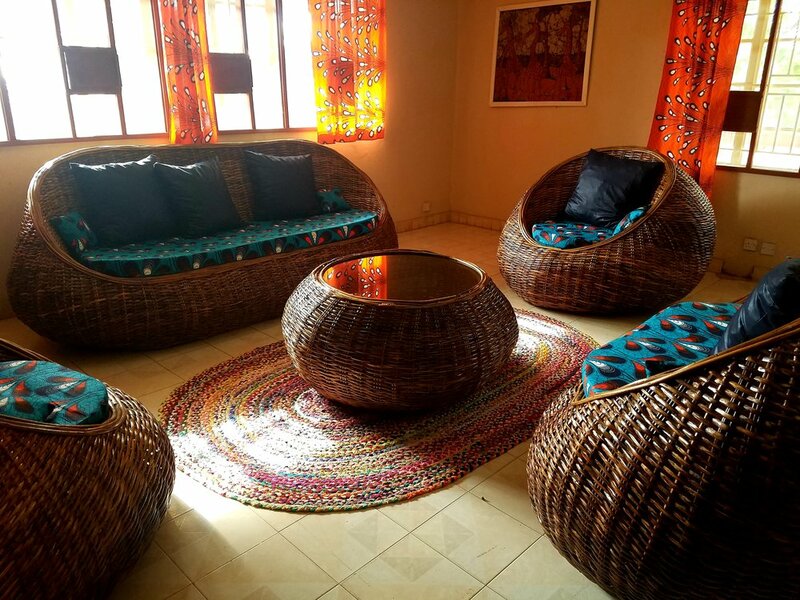 The Raining Season (TRS) buys supplies locally as much as possible to stimulate the economy, but it's more cost effective for teams to bring some items when they travel. As a team we were able to bring 18 50lb suitcases full of items for TRS and for the Curries. Shout out to everyone who helped us collect supplies! We had the pleasure of visiting The Roots House- the transitional home for kids aging out of TRS' orphanage. After a tour, Charles and Uncle Osseh, co-founder of The Raining Season, shared the vision for the Roots House and answered questions. We unpacked supplies for the house and helped set up various rooms. Charles and Ally officially became house parents this month! We had a number of talented musicians on our team, so Ally arranged for us to exchange songs with the staff and kids and then perform at a talent show on Friday night. We worked especially hard throughout the week to learn a few songs in Krio- the dominant local language. Auntie Henrietta, the choir director, was really patient with us! A few folks at the center have been interested in learning to play guitar and Pastor Russ was able to give a couple lessons. Friday night was showtime! The choir sang, Nar'Asha and some of the older girls danced, a few kids acted in skits, and other recited memory verses. There was an intermission for popcorn and Charles Currie closed out the night by surprising us with a freestyle dance! It really was an incredible night. Ally hooked us up later in the week with an official city tour led by a local Sierra Leonian. It was sobering to hear how the city of Freetown itself was birthed from a devastating legacy of colonialism and slavery. We visited many important landmarks including the oldest church in the city, St. John's Maroon Church. 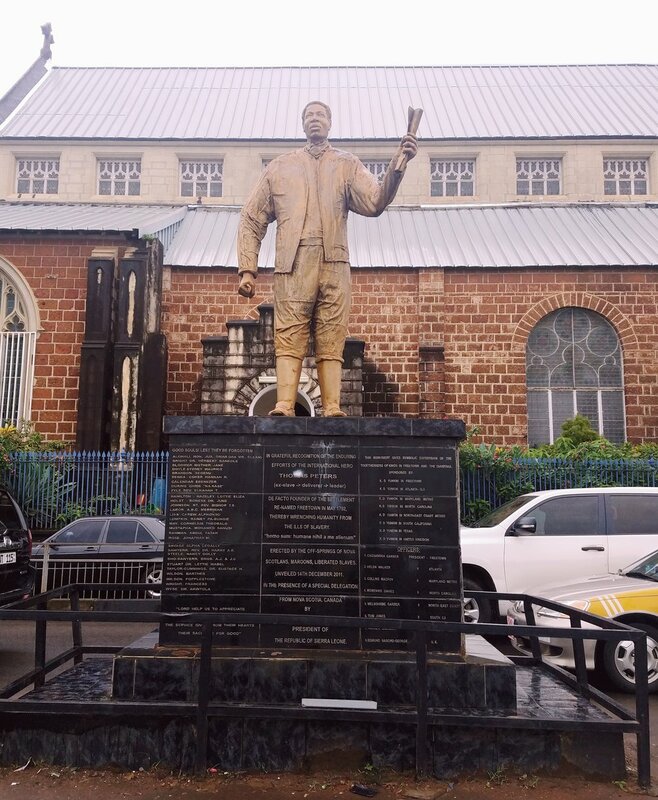 It's named for freed slaves from Jamaica, one of the three groups of newly freed slaves who founded Freetown. Upon arriving in Sierra Leone in 1808, the Maroons deconstructed their ship and used it to build the church! Our last stop was to "the slave steps" also known as the "Fifty Steps to Freedom". If ships of freed slaves reached the harbor, disembarked, and climbed these fifty steps, they knew they were free. It was incredibly moving to visit these historical sites together as a multiethnic family of faith. The Lord's favor is clearly on our missionaries and the Sierra Leonians at The Raining Season. We're so grateful for the ways they've welcomed the Curries, and City Fellowship, into their important Gospel work. 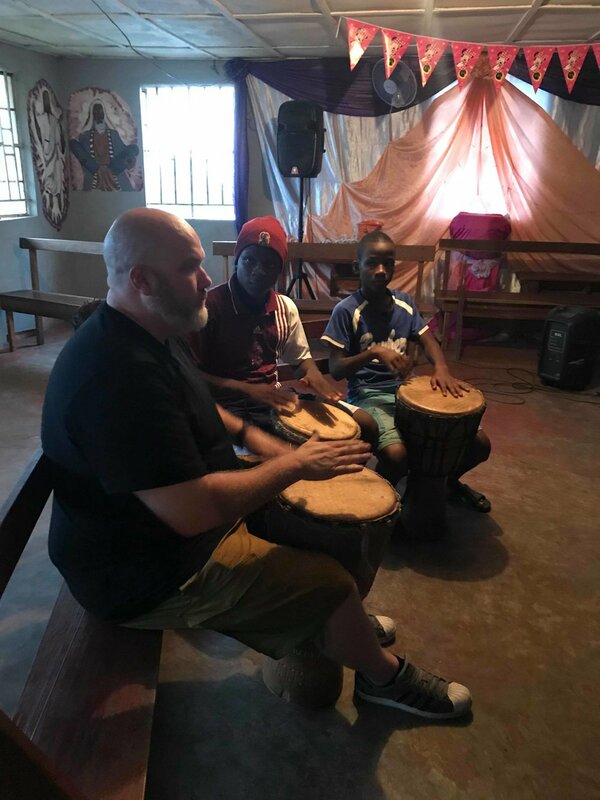 The highlight of the trip was spending time with the Curries and connecting with the kids and staff at TRS who have become family to City Fellowship over the years. We were able to say to each other honestly, "I've heard so much about you!" The Lord's favor is clearly on our missionaries and the Sierra Leonians at The Raining Season. We're so grateful for the ways they've welcomed the Curries, and City Fellowship, into their important Gospel work. As much as we miss Charles and Ally it was deeply life-giving to watch them walk in their calling! Leaving was tough, but we look forward to continuing our partnership with brothers and sisters in Christ across the ocean. continue supporting the Curries and the Gospel work in Sierra Leone through our annual Christmas Missions Offering on Sunday, December 9th!